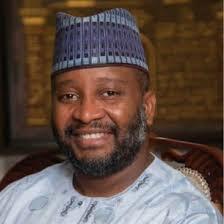 The governor-elect of Zamfara state, Alhaji Mukhtar Shehu Idris, has asked the Independent National Election Commission, (INEC) to release his certificate of return, having being declared winner of the March 9, 2019, governorship election in the state. Idris also told the commission to release the certificate of return of all the members of the Zamfara state's House of Assembly members-elect. The state Governorship and House of Assembly election petition tribunal is expected to begin sitting in the next two weeks in Abuja. Last week, the tribunal had its inaugural sitting. Already, processes are being exchanged by parties at the tribunal. The electoral body had withheld the certificate of return of the governor-elect and other members of the state's House of Assembly-elect, following the judgement of the Court of Appeal division in Sokoto state. In a letter to the INEC Chairman, Prof. Mahmud Yakubu, attached to the notice of appeal filed at the Supreme Court, the governor-elect drew the attention of Prof Yakubu to the notice of appeal. He said through his counsel, Mahmud Magaji, SAN, in the letter, ''It is worthy of note that the purported judgement of the court of appeal, has no any positive of direct order. But, assuming there is even a court order arising from the said judgement, we still have 21 days within which to appeal, thus, putting into abeyance the said judgement until after the laps of the said 21days. But, in the case at hand, the parties (APC Zamfara) still have 21dayd existing side by side with their constitutional right of appeal. Section 143 of the electoral act also states, ''If the election tribunal or the court, as the case may be, determined that if a candidate returned ad elected the candidate returned as elected shall, notwithstanding the contrary decision of the election tribunal or the court, remain in office within which an appeal may be brought.